Successful restaurant construction must combine form and function—an attractive environment for the customer and functional space for workers. At Hobgood Construction Group, our restaurant experience with local and national brands has taught us how to combine both facets while managing each project’s unique needs. Our background and network of long-term contractors allows us to easily satisfy restaurant-specific challenges such as significant plumbing, electrical, mechanical and equipment demands. Plus, our past work with national franchises has taught us how to manage projects based on existing art direction, schedules and material lists. If your corporate office is shipping materials on a specific date, we adjust our work schedule in order to complete your project on time. 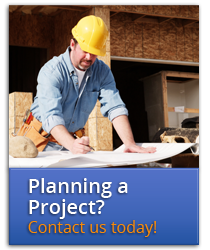 Whether you need dependable construction services or expert design/build guidance, contact us to discuss your next project.